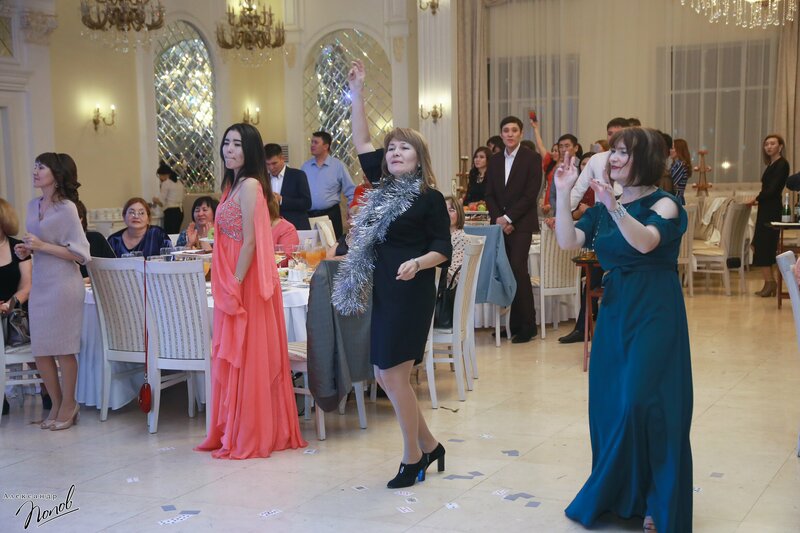 In EKSU them. 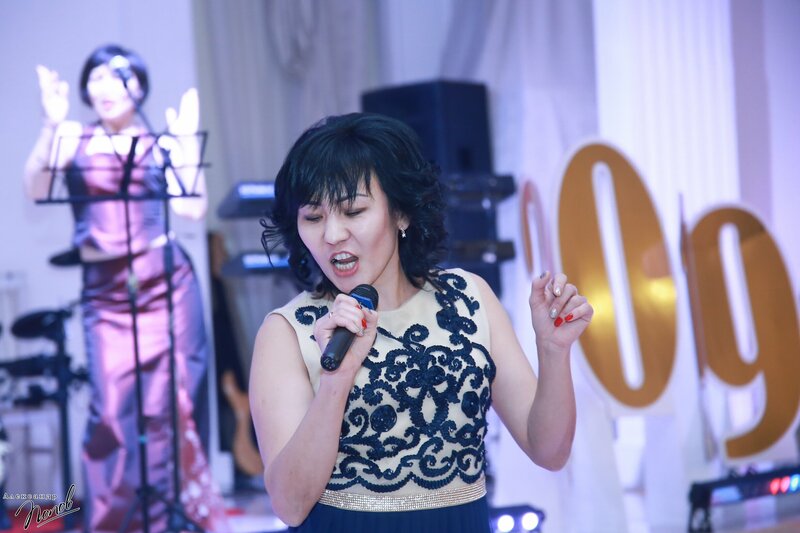 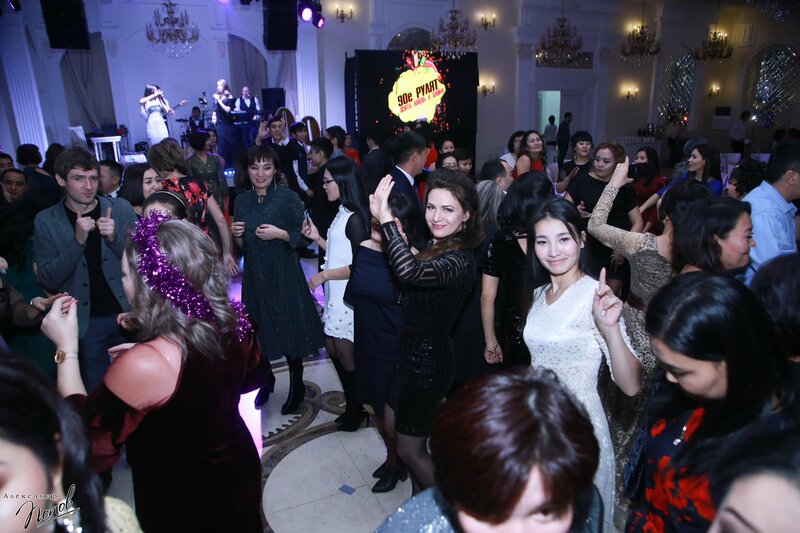 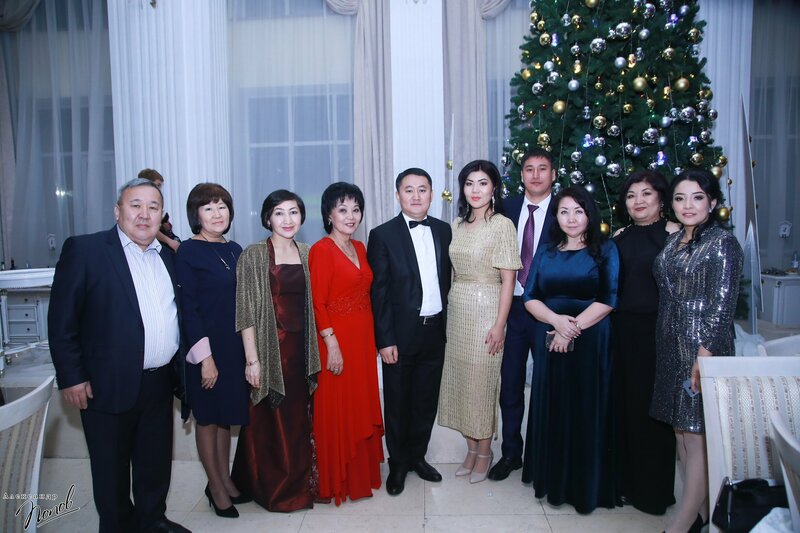 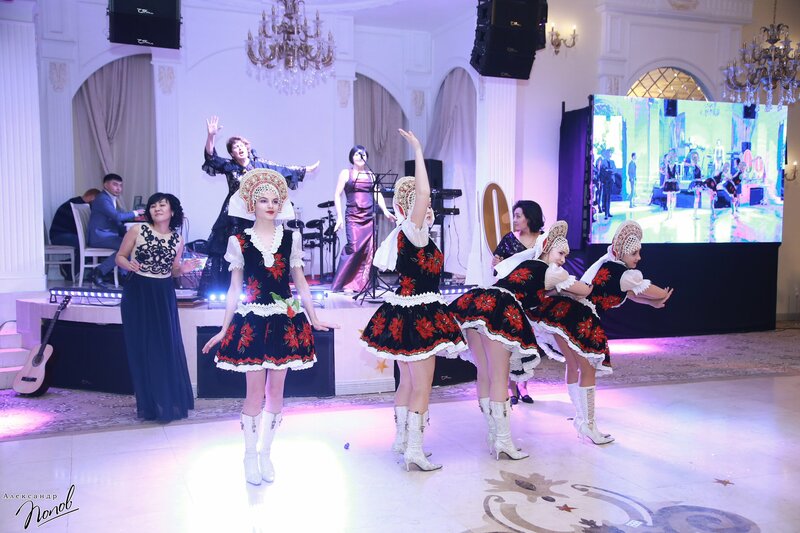 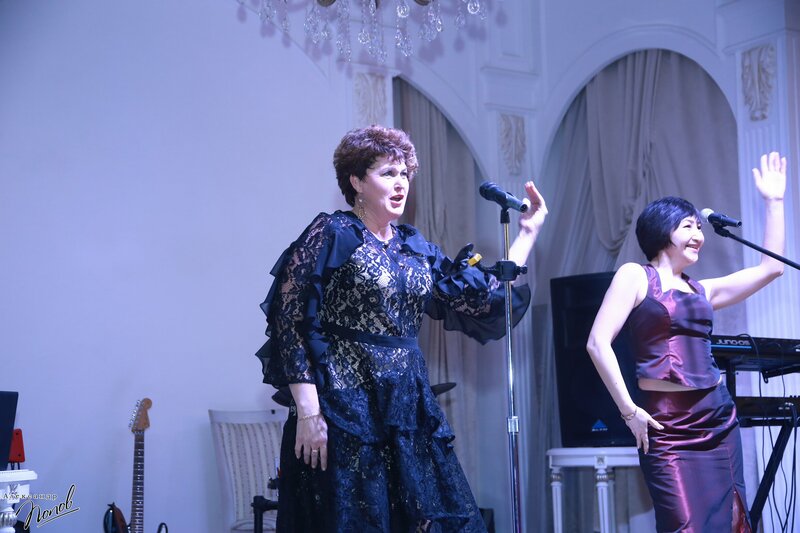 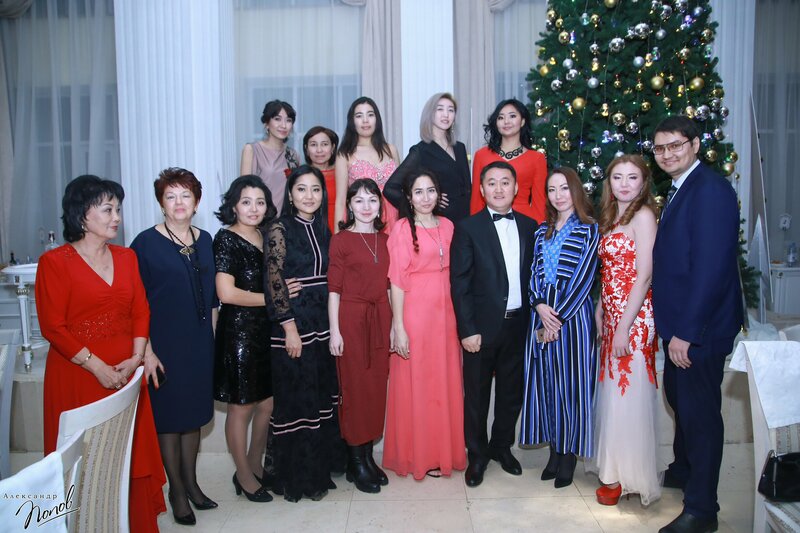 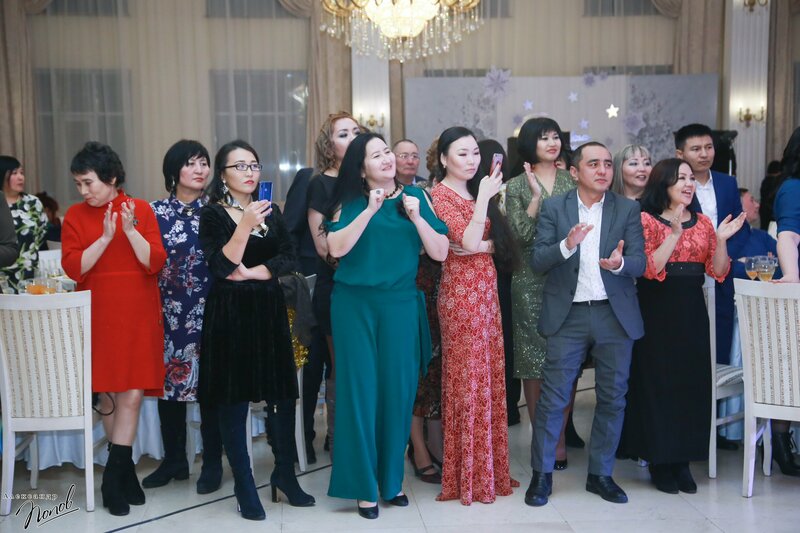 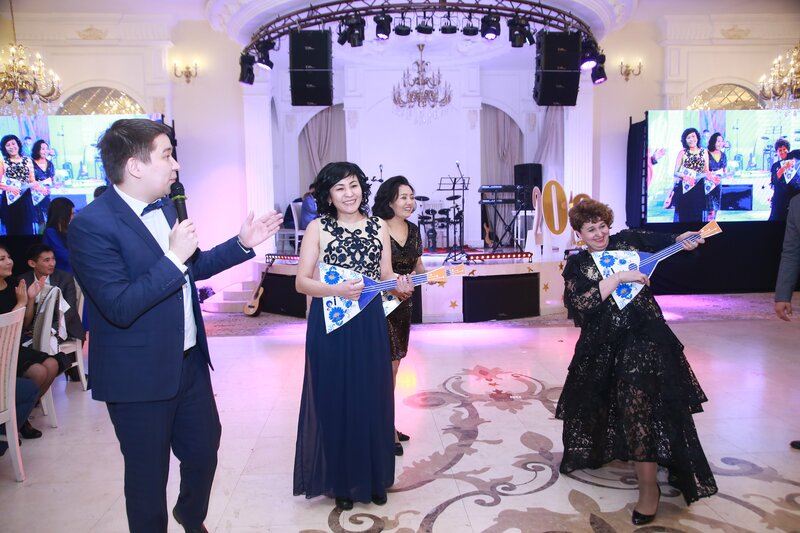 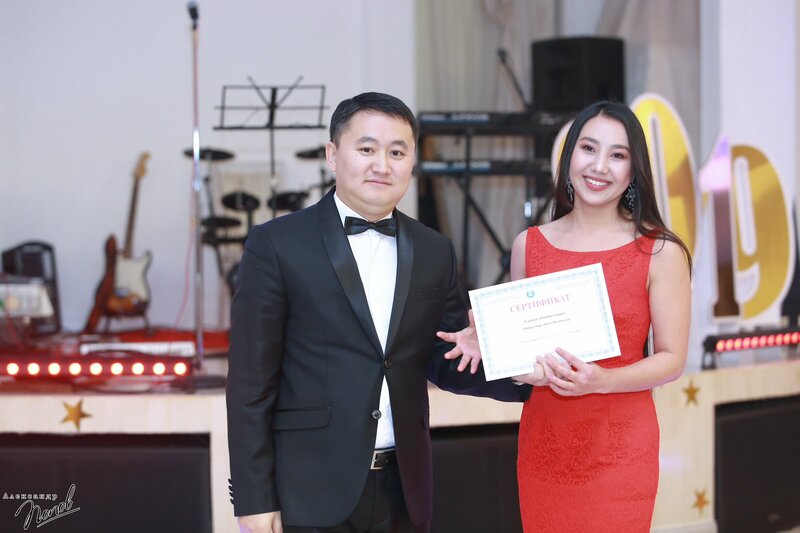 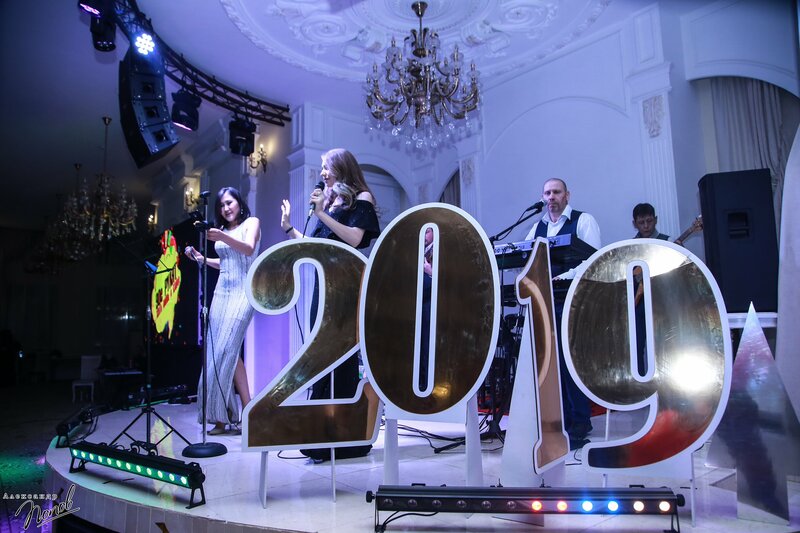 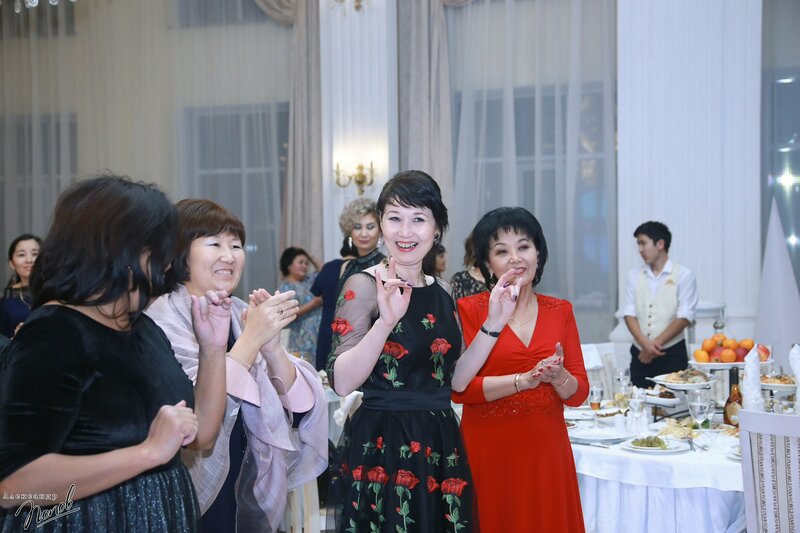 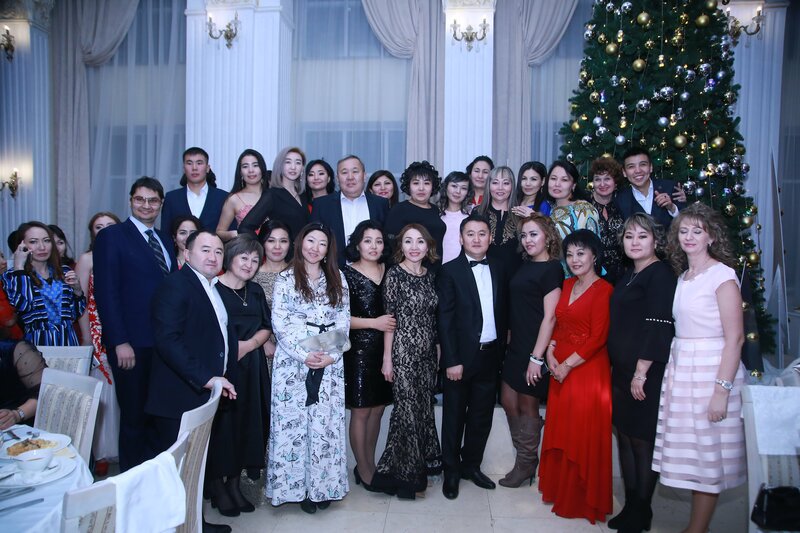 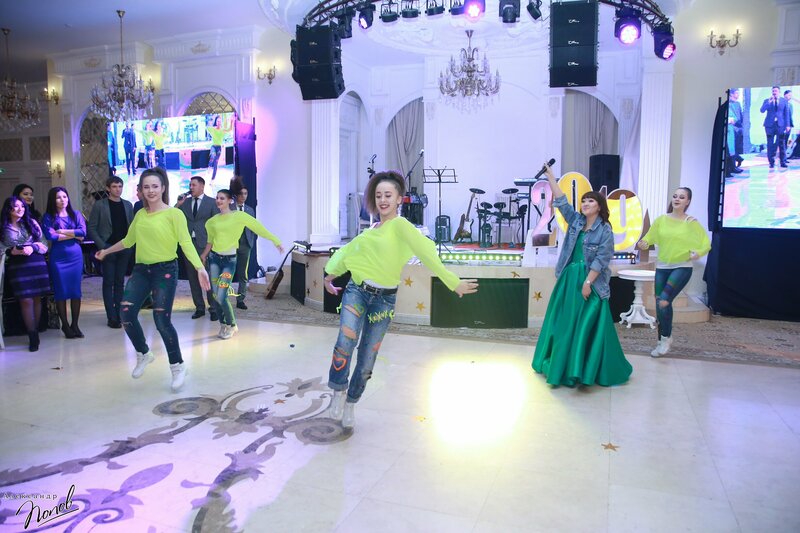 S. Amanzholov held a corporate celebration of the New Year-2019. 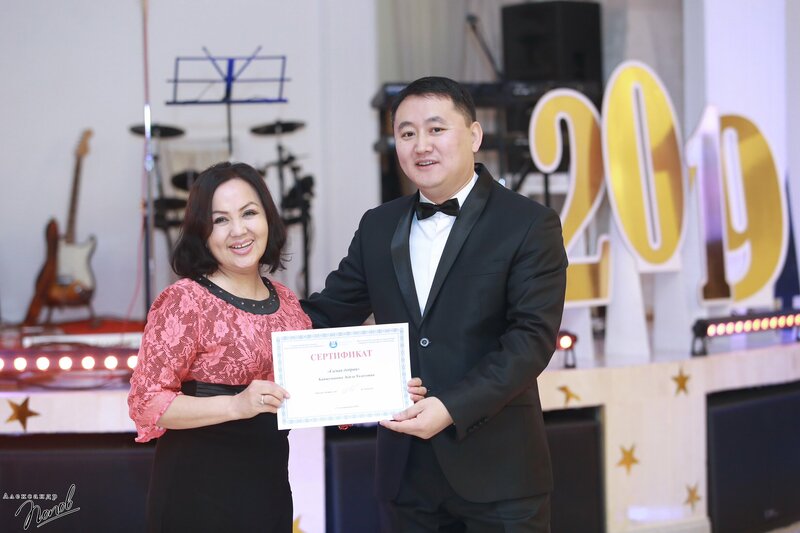 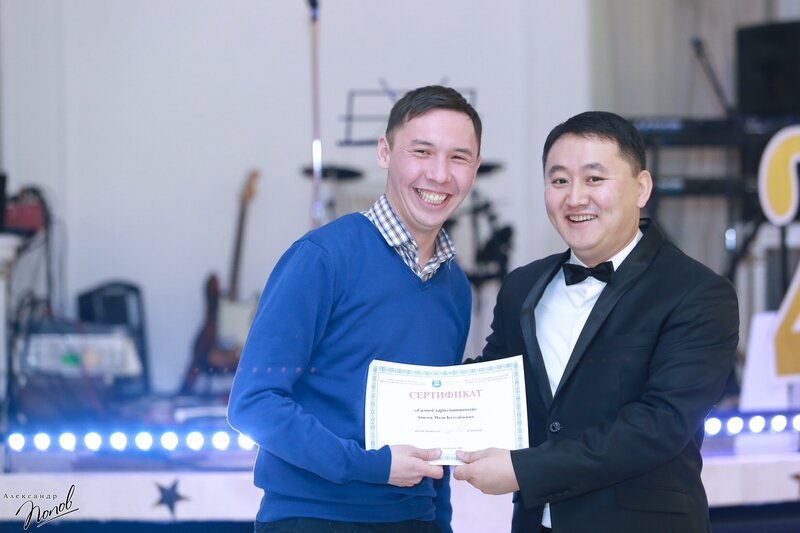 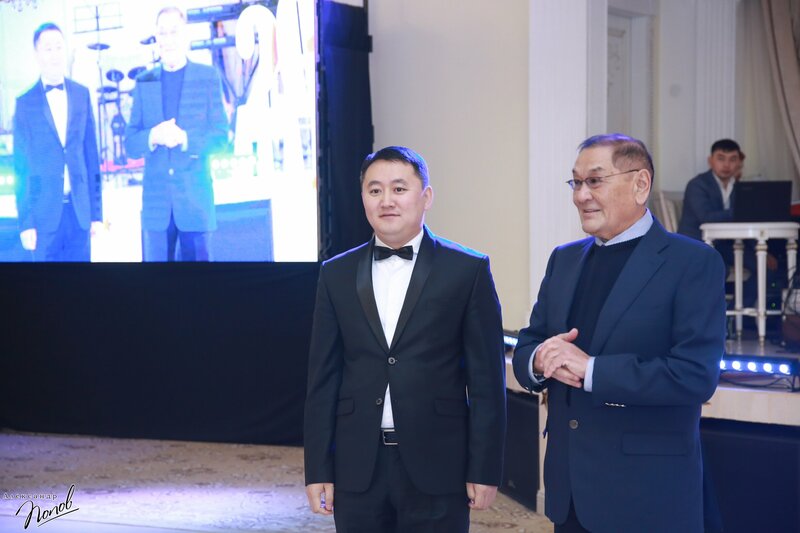 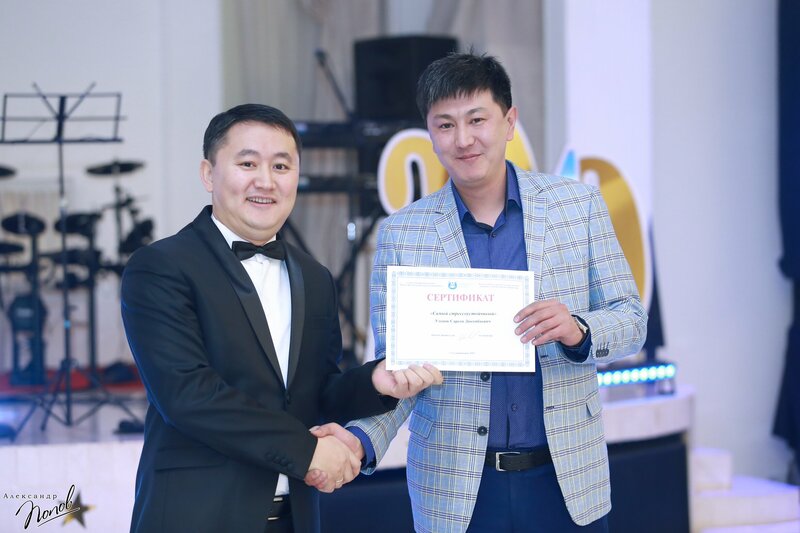 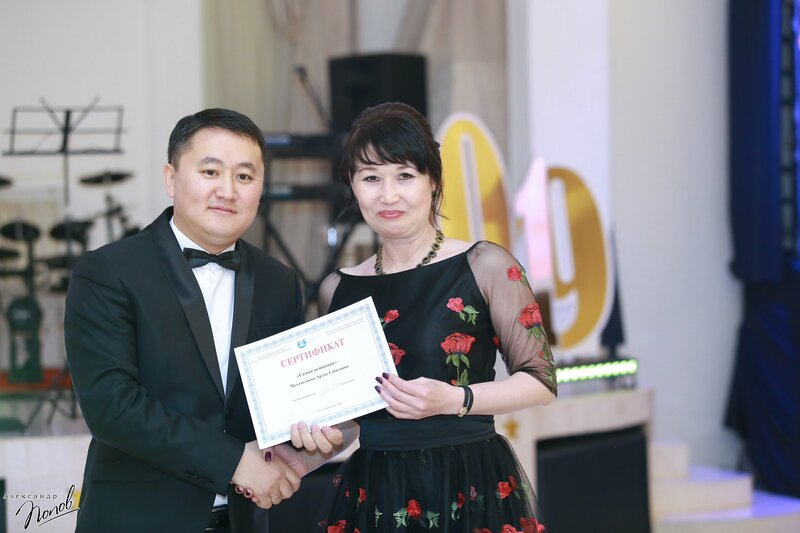 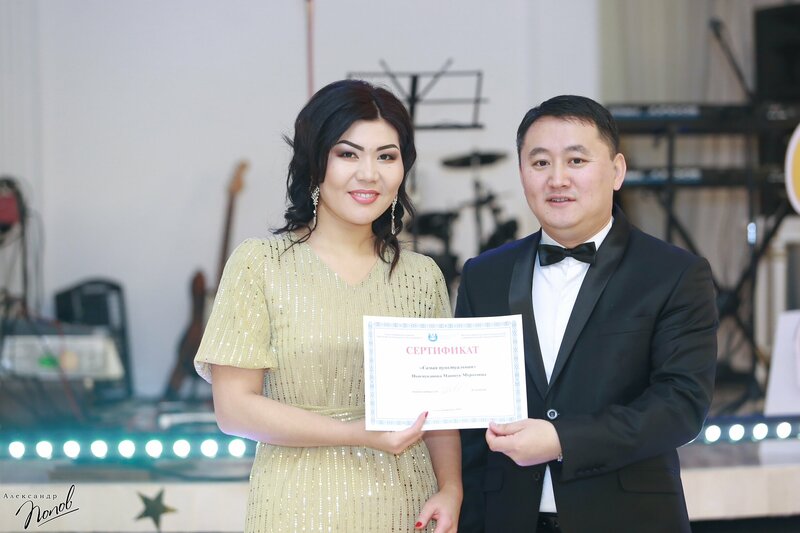 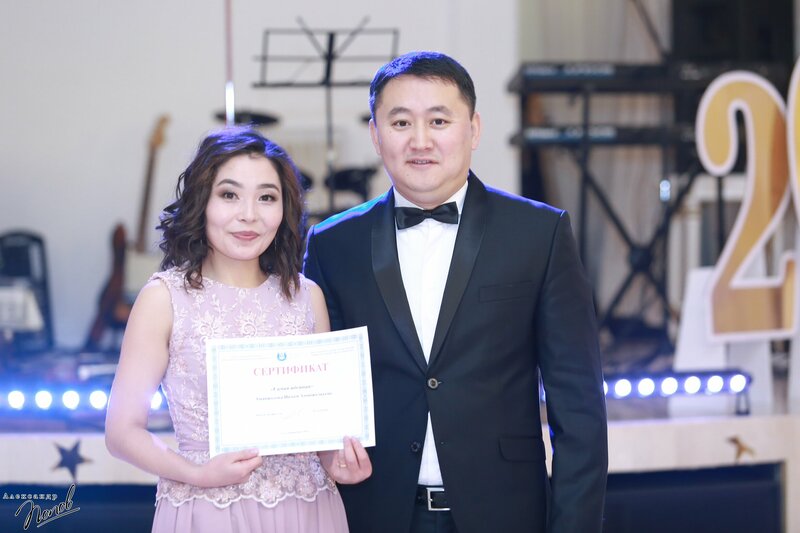 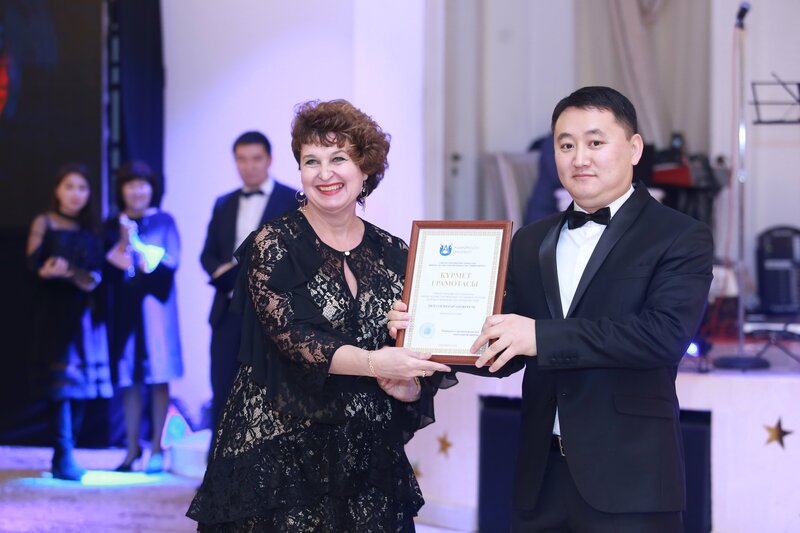 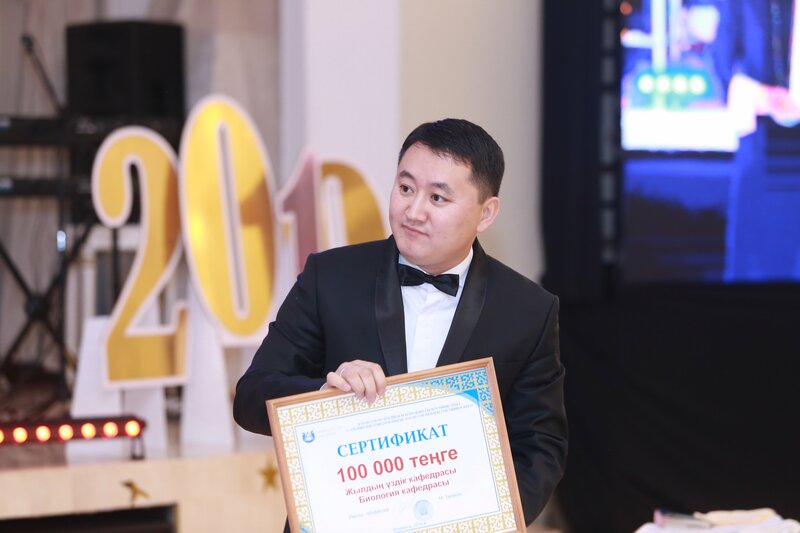 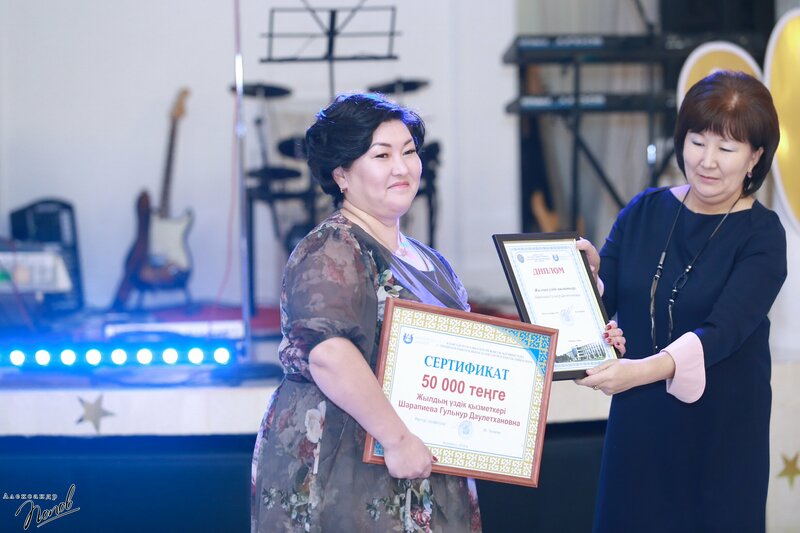 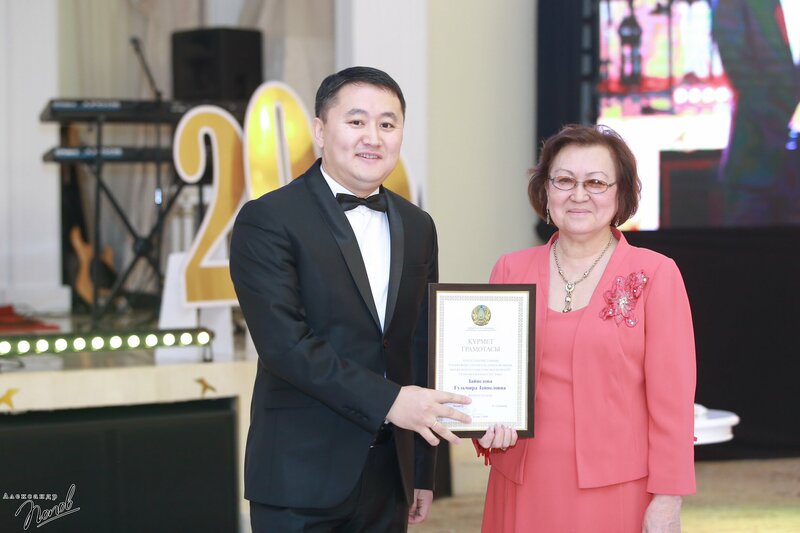 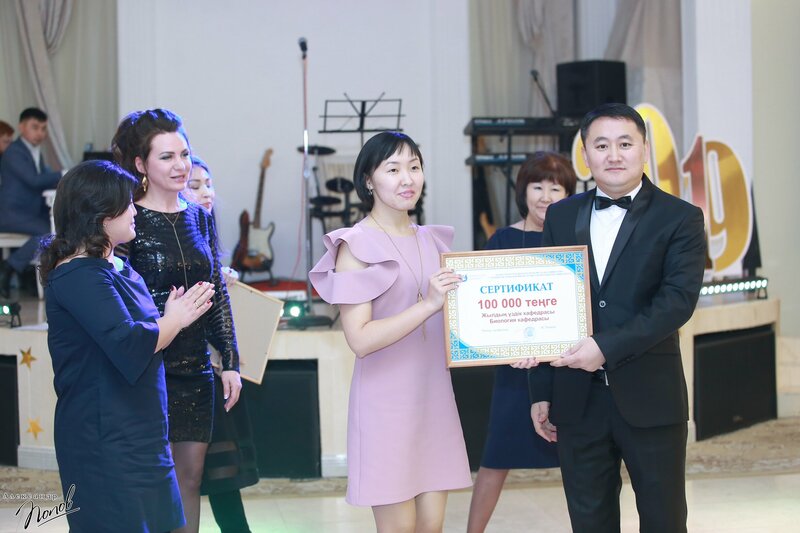 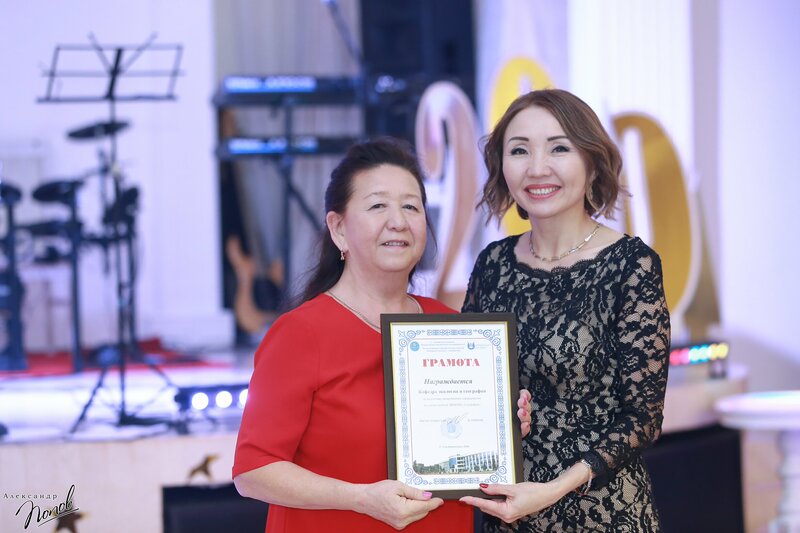 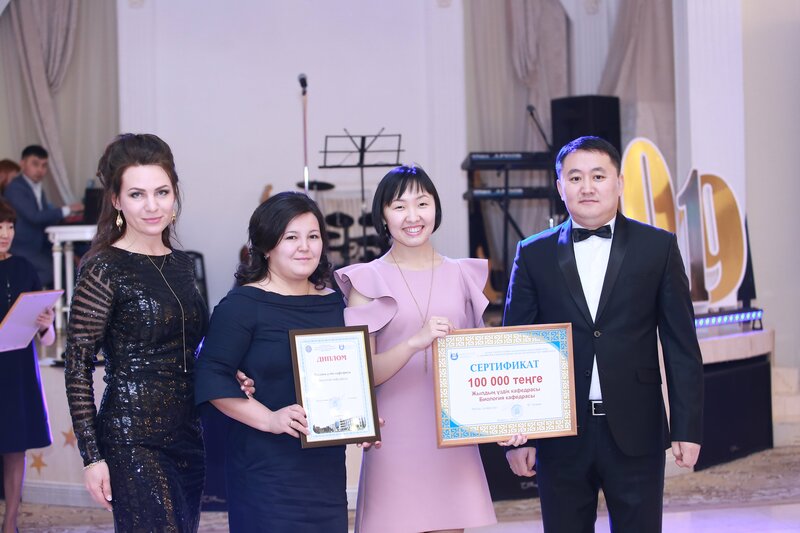 At the beginning of the evening, the rector, professor of East Kazakhstan State University named after Sarsen Amanzholov Mukhtar Adilbekovich Tolegen congratulated teachers and employees, and also presented awards to teachers, employees of the university who demonstrated special success this year. 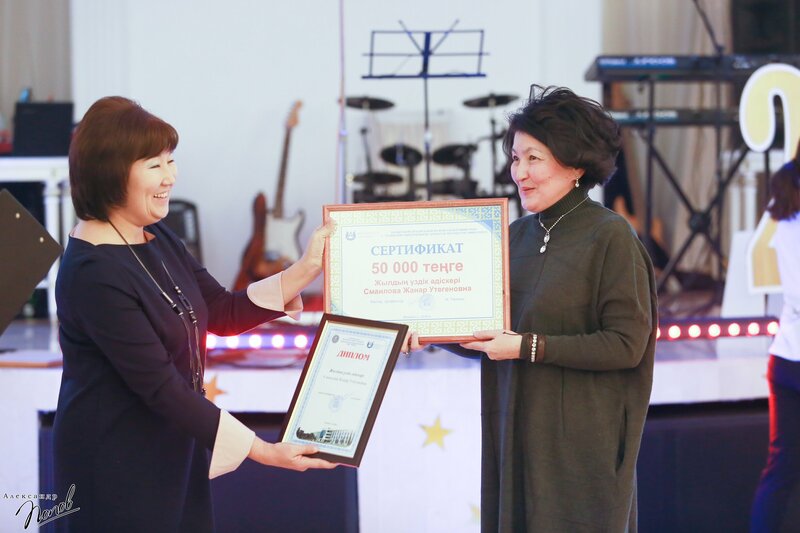 Associate Professor of Music Education Almira Bekkaziyevna Nurgozhina was awarded the Badge “Y. 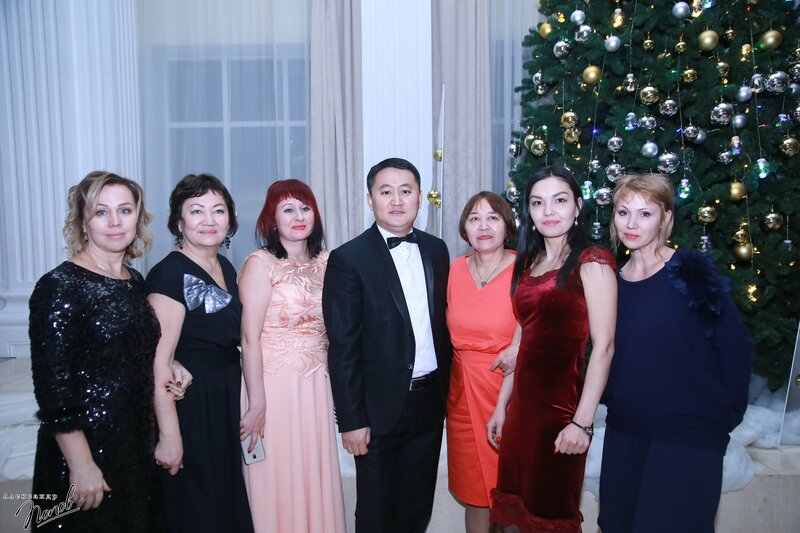 Altynsarin ". 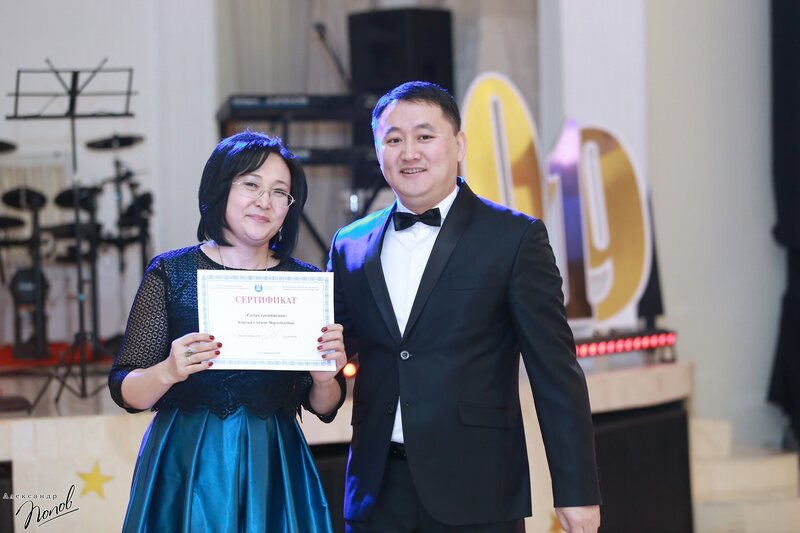 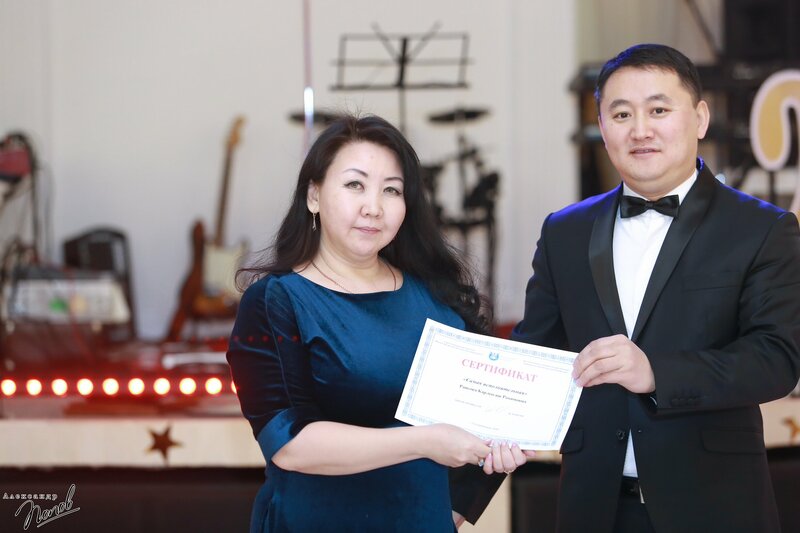 The diploma of the Ministry of Education and Science of the Republic of Kazakhstan was presented to the professor of the department of basic military training Gulmira Zaynelovna Zaynelova. 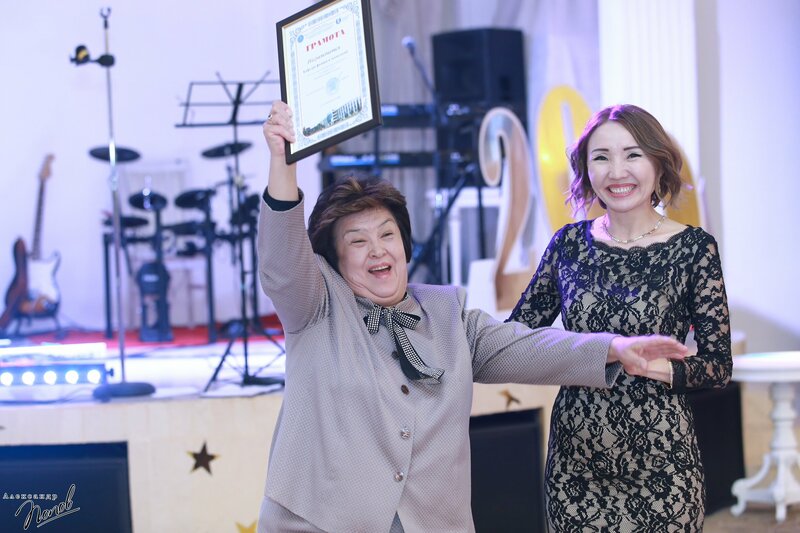 The guest of the festive evening took the baton of congratulations - “The Honorary Rector of EKSU. 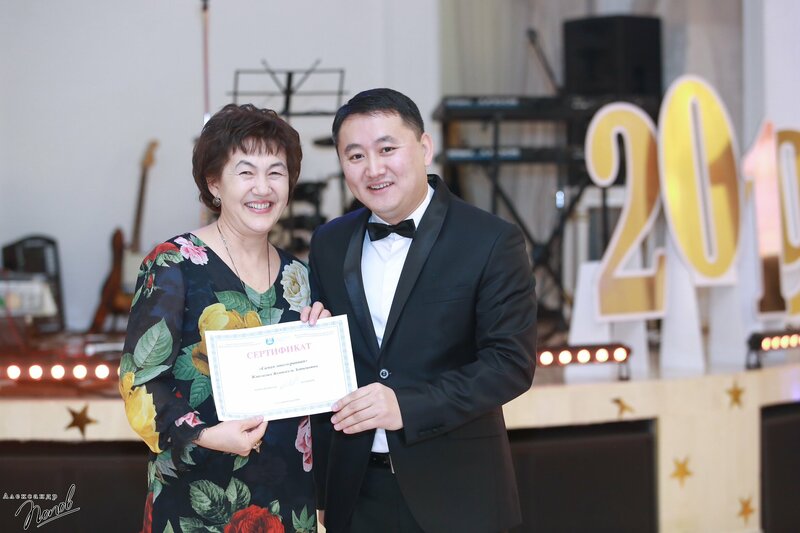 S.Amanzholova, President of the Kazakhstan-American Free University, Doctor of Chemistry, Academician of the National Academy of Sciences of the Republic of Kazakhstan, Professor E.A. 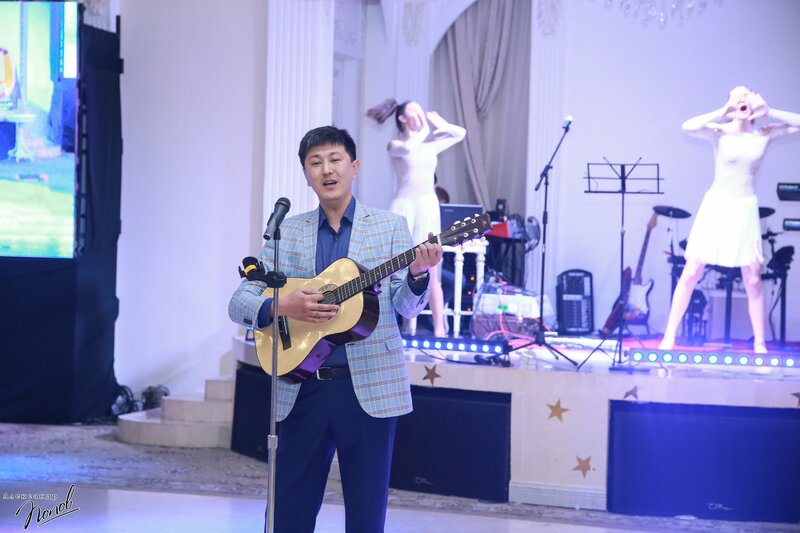 Mambetkaziyev. 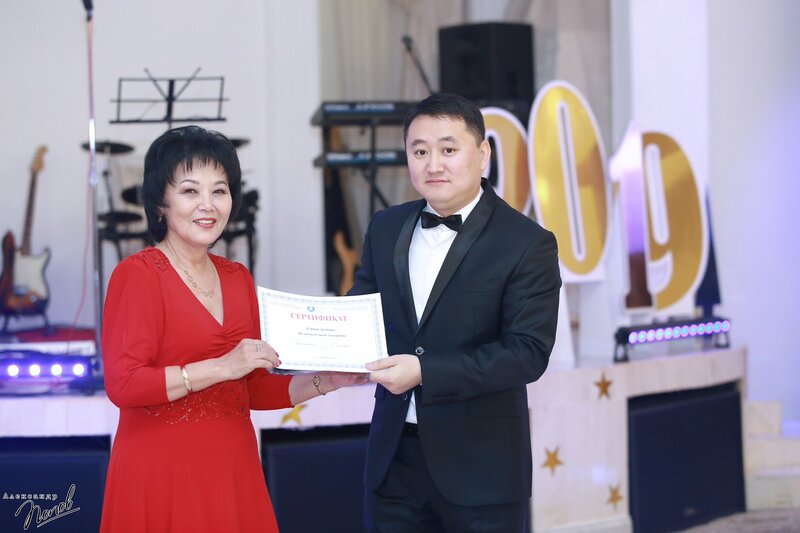 It was on his initiative, in 1991, the UKPI was transformed into the EKSU - the third university in the republic and the first one created in Kazakhstan after independence of the republic. 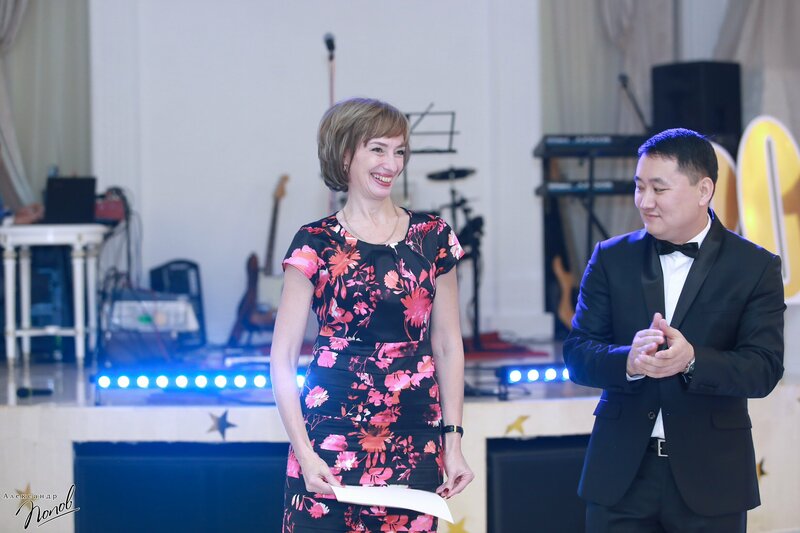 Then the word for congratulations was given to the Vice-Rector for Strategic Development and Scientific Work Irina Vladimirovna Rovnyakova. 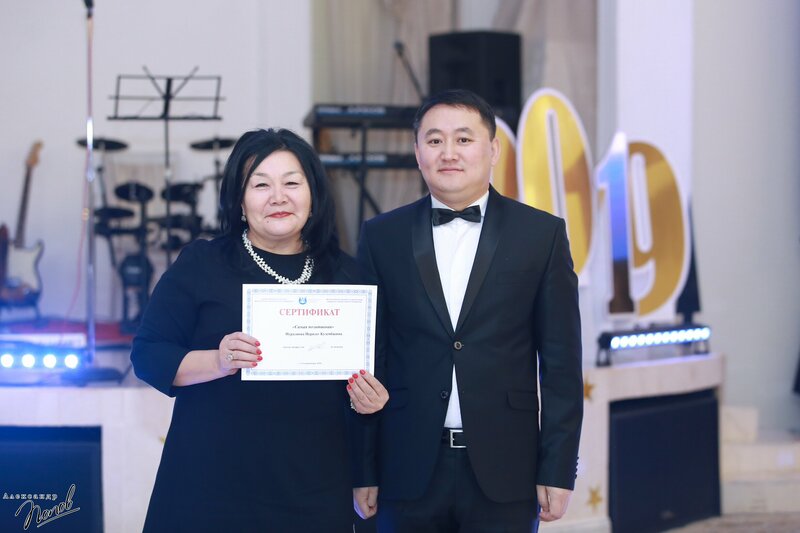 Against the background of the video on the university’s achievements in 2018, the Rector received a letter of thanks from the university staff. 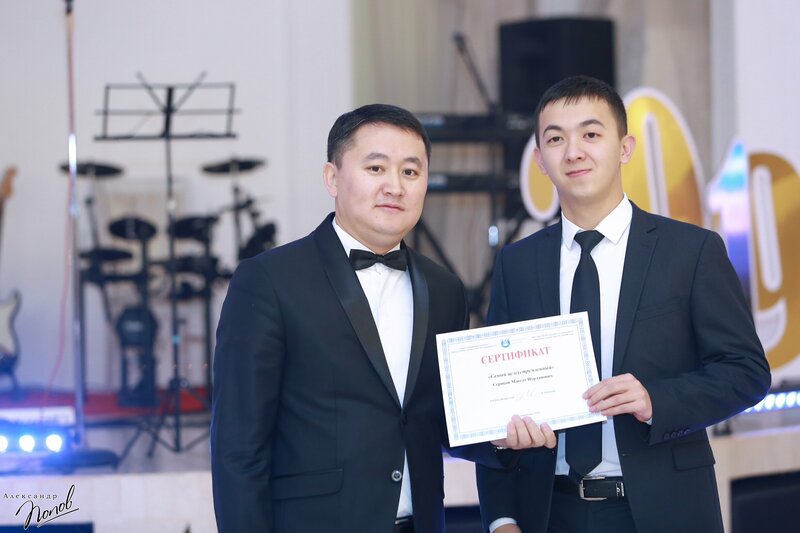 The rector himself held the award ceremony for the winners of the competition on the results of the team’s work for this year. 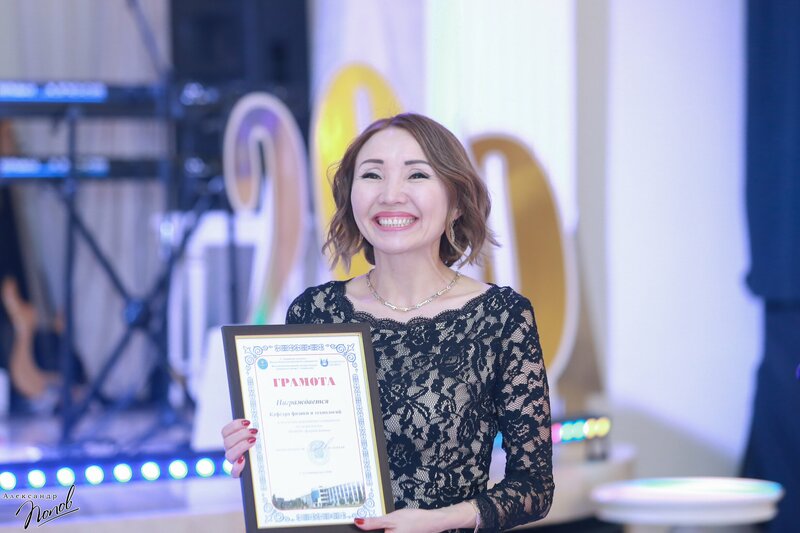 The winners of the competition are: “The best teacher of the year” - Raisa Anuarovna Orsaeva (associate professor of the Department of Criminal Law and Criminal Procedure), “Best Researcher of the Year” - Lyudmila Iosifovna Kveglis (Professor of the Department of Physics and Technology), “The Best Young Researcher of the Year” - Ahatan Ydydyrmola ( Senior Researcher of the National Research Laboratory for Collective Use), “The Best Methodologist of the Year” - Zhanar Utegenovna Smailova (Senior Lecturer, Department of Psychology and Corrective Pedagogy), “The Best Employee of the Year” - Gulnur Da lethanovna Sharapieva (specialist of the department of R & D), "Best Department of the Year" - Department of Biology (Head of the Department Almasi Anashbaevna Kitapbaeva), "Best Department of the Year" - Faculty of Science and Technology (Dean - Dosim Erbolatuly). 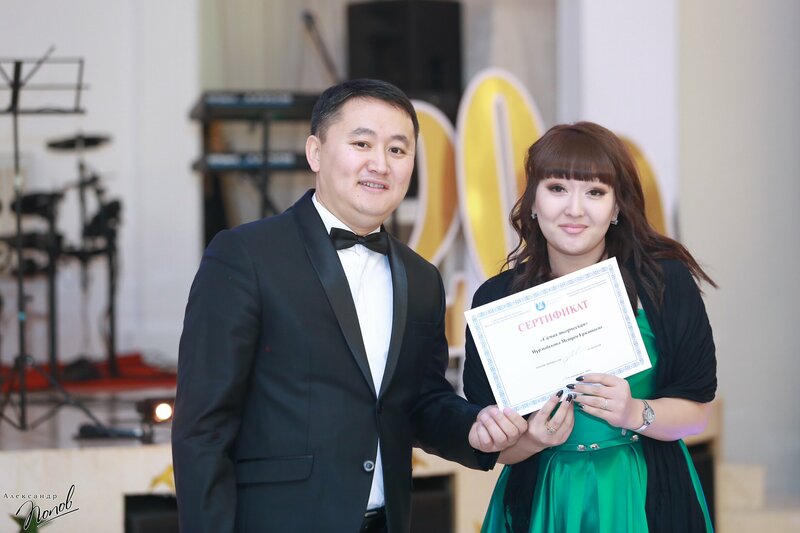 -Friends, today, you will find many more surprises and awards. 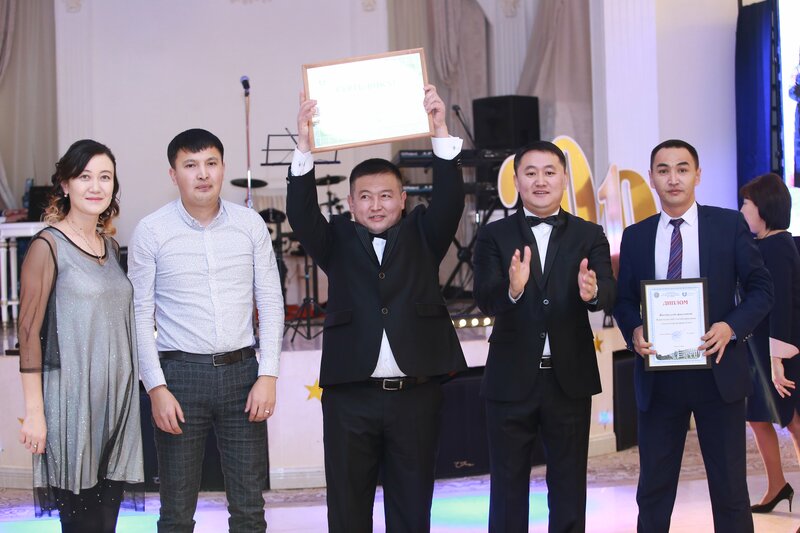 The quality management department, monitoring and forecasting conducted a traditional survey “PERSONA GODA” to determine the most popular personalities of our team. 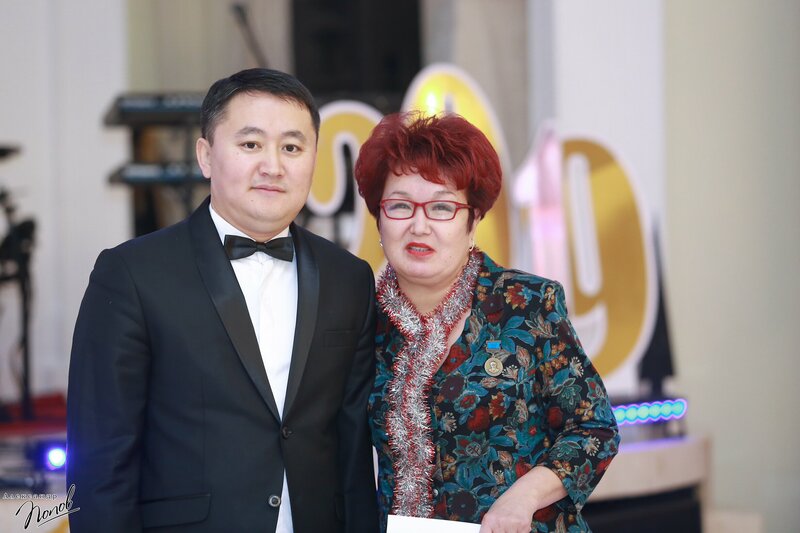 The names of the nominees, we learn today at our festive evening. 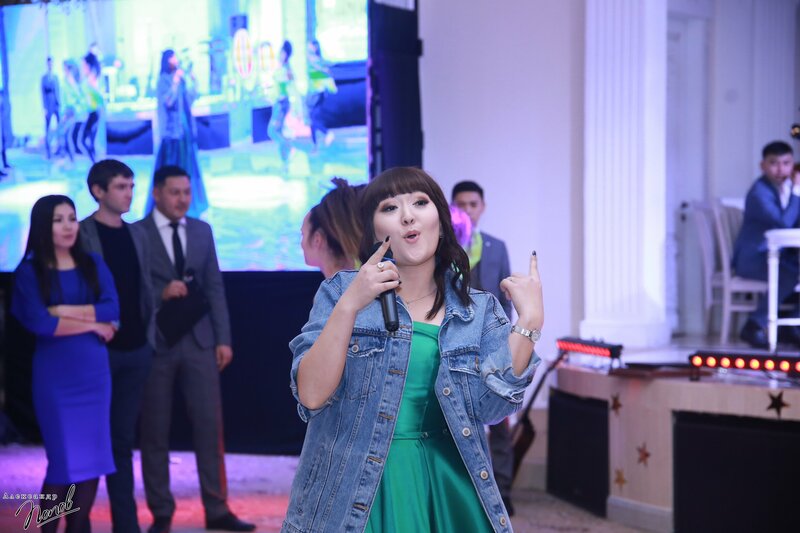 And, of course, video greetings are waiting for you! 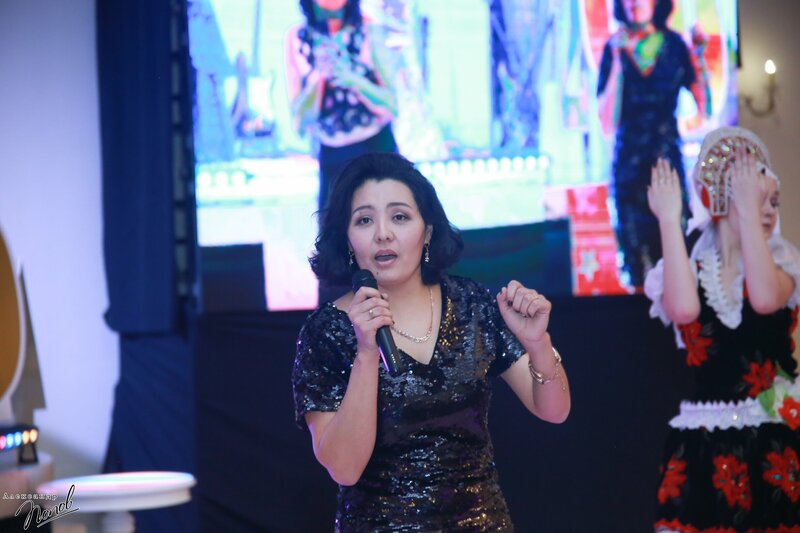 ”The presenters appealed to the hall. 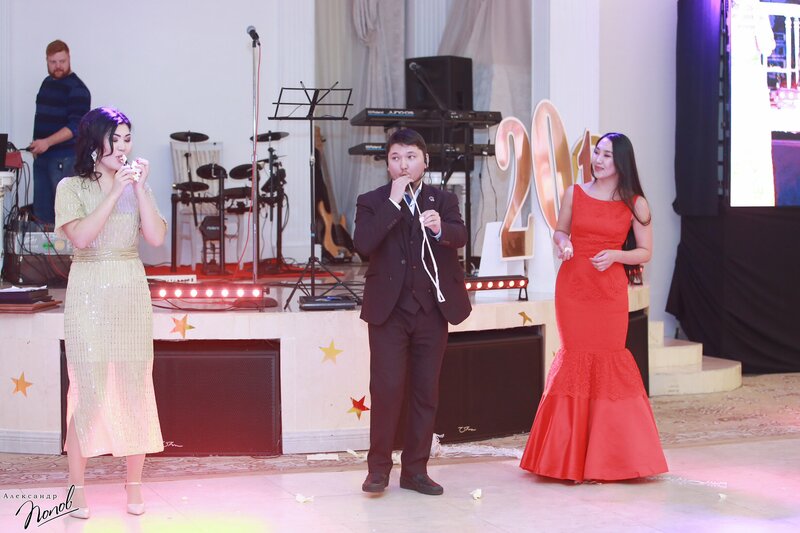 And the promises of the hosts to make the evening unforgettable, quite justified. 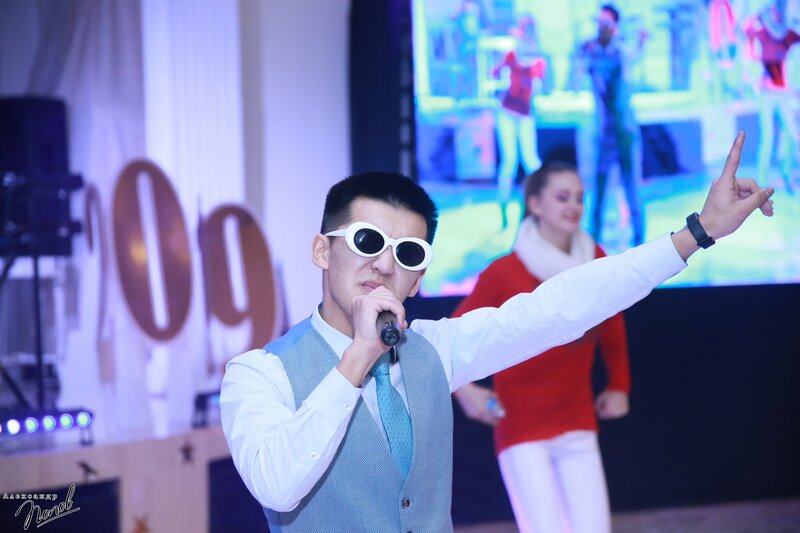 The evening of “EKSU pupils” will be remembered for a long time with fun, music, funny contests, vivid performances, a rich concert program, and, of course, a varied and tasty menu!